Despite what we just said in the intro, we’re pretty sure many of you still have your first amps – bad or good. The lucky ones among you will have scored an older relative’s tube combo as your first tool of the trade, or been taken by an in-the-know in-law or parent to a music store that kitted you out properly. But some of us (can you feel the bitterness?) didn’t have that luxury, and for months – or even years – put up with the aforementioned plastic-feeling, appalling sounding excuses for amplifiers. Because in those days, there weren’t many more choices out there for fresh players. Well, unless you wanted to start with a full stack and 100 watts of pain. It’s a happily different situation for beginner axe slingers today. In fact, there’s maybe even too much choice out there, what with the huge variety – not to mention the increasing affordability – of amps with stacks of features and passable tones on the market right now. 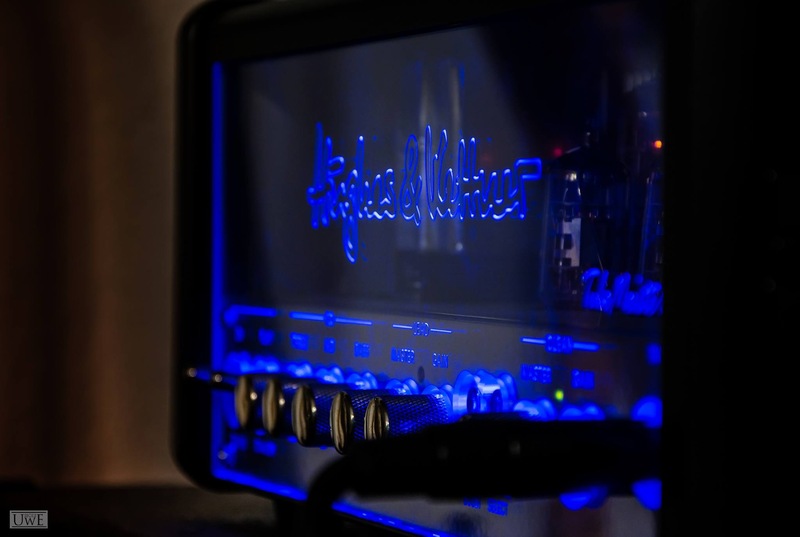 Here, then, follows a list of what you might want to look out for when buying a first amp, whether it’s for you, a friend or family member who wants to start playing, or even the more experienced player who wants a modern affordable option for quiet home noodling. This is deadly important for first timers in particular. After all, most of us get into the six string game because of a guitar hero or heroine who’s inspired us. And although we know we’re unlikely to get hold of the same amp as them the first time we buy one – or have any chance of sounding like them, maybe forever – it certainly feels good to know we’re a part of the same family. Here on the Blog Of Tone we’re all about the, erm, tone. There’s just no point putting up with an amp that sounds like crap, even if you’re still trying to master the intro to Smoke On The Water. But that doesn’t necessarily mean you need to insist on tubes straight away. Because although the vast majority of guitar connoisseurs swear by them, they’re perhaps not ideal until you’ve mastered some rudiments of technique and playing dynamics. No, tubes are not particularly favorable to unexperienced hands and sloppy players, and the last thing a beginner wants is to be put off playing for life because their sound is terrible. And the good news on this front is that there are many other options out there, namely with solid-state, hybrid and modelling/digital amps. They can all sound great too, are often easier to get to grips with, and, if you’re limited as to how loud you can play because of sensitive neighbors, they can be a blessing. Why? Because they’re usually able to sound their best at more acceptable volumes. With tubes, unless you’ve got a small amp, or a power soak, or a good master volume, you’re going to have to crank it somewhat to get the sweetest sounds available. And that can get very loud very quickly! Most small practice amps these days can do a lot. Almost all come with bucket loads of built-in FX, many have more than one channel, some have cool connectors for things like headphones and MP3 players, and a few are even designed so you can play acoustic guitars, electric guitars and basses through the same box. But there’s a catch to all of this too, because beginner amps also need to be uncomplicated. In fact, we’d say it’s crucial you find one that allows you to simply plug in, turn on and rock out without any fuss, or without having to delve into an inaccessible 200-page manual. Otherwise, you’ll not keep coming back to it, the inspiration will dwindle, and your rock dream’s in jeopardy. And none of us want that! There’s also no need to pay over the odds for certain features that you might never use. For example, on a first amp, you probably don’t need access to a serial/parallel FX loop or MIDI connectivity. They’re for next time. For now, focus on the things that’ll get you excited to keep playing and learning. That’s probably going to amount to two channels (clean and distorted), a simple EQ to tweak your tone, maybe a boost control to push everything to 11, and possibly a built-in effect or two (lots of starter amps have chorus, flanger, reverb and delay these days, and you really don’t need more than that to begin with). Hell, if you grow to love the FX side of things, you can always start collecting stompboxes! Headphones, MP3 sockets and built-in tuners are also cool, and if you want to plug into your computer, a USB port or similar is a nice touch. But if you wouldn’t ever use stuff like that, then keep it simple. Like we said, all the extras are for your next amp! 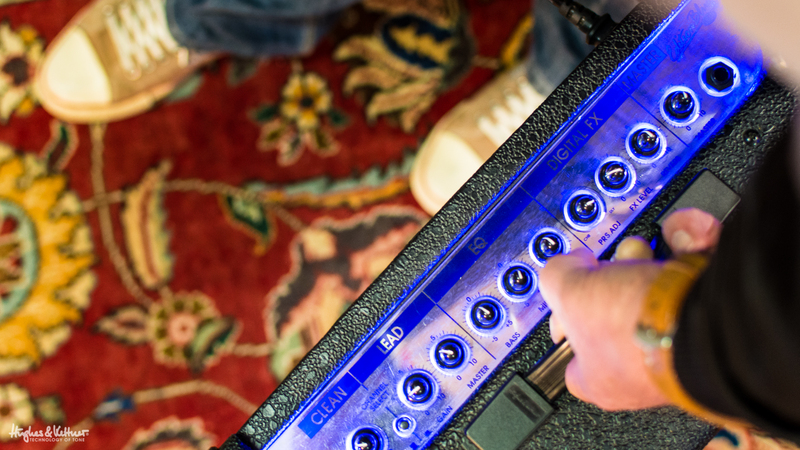 The more features your amp has, the more sounds you can make with it. But how many of those extra features do you really need to improve as a guitar player? You also need to consider what the amp is going to be for, both in terms of musical stylings and application. Many amp brands are tied inextricably to a certain player type, so if you’re planning on becoming the next djent superstar, start looking for options that will suit that style. Same goes for metal, or jazz, or indie, or country, or whatever. Of course, what you’re going to use the amp for will also affect your thinking. If you’re intending to play at home only, size and power doesn’t matter. But, if you’re planning on using this amp to take to your first band practices, you’ll need something with enough clout to cut through a rowdy drummer. That’s a lot to take in, but once you’ve done your homework on all of the above, you’re ready. Well then, what are you waiting for? 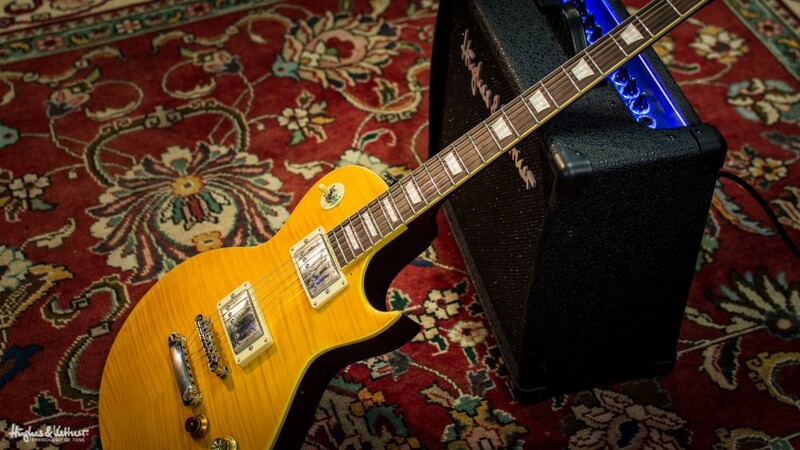 It’s that simple: head out and try some amps! Go on, it’s fun. And trust us – if you’ve got one, take your own guitar with you. If you try out a prospective amp with an axe from the store, don’t be surprised when you go home, plug in and find your guitar makes the whole thing sound totally different. But ultimately, it’s about buying the amp that feels – and sounds – right for you, and that can do everything you’d want from it at this stage in your playing career. Do that, and you’ll be getting great value for money, however much you choose to spend. And now all that’s left is to plug in and let the fun begin! First published: March 20 2015. Most recent update: December 15 2015. Great post! I started out with a Fender Mustang–a solid state amp with a ton of tones. It did have a lot of stuff that I never did ever learn to use, mostly software stuff. But it allowed me to experiment with many different amp sounds (or the amp sounds as they were recreated digitally on the Mustang). I moved on to a Princeton ’68 that’s got tubes. One of these days I’ll manage the move to a larger Hughes & Kettner setup. I am learning guitar at the moment, so thanks for these tips on buying an amp. I like your point about buying an amp that isn’t too complicated at first. I’ll be sure to focus on finding an amp with at least 2 channels and good reverb control. Maybe someone can help me here. 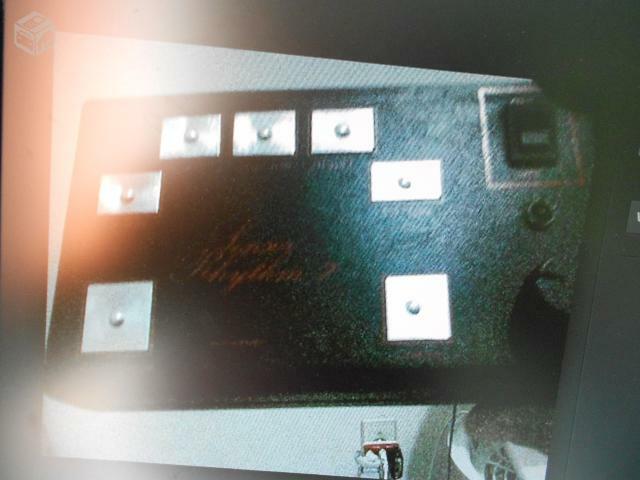 I can grab the Tubemeister 18 Head with a 1 12″ speaker or a 100 watt Switchblade Combo. Playing an Ernie Ball Axis and playing a bit of everything but Thrash in my house,,how do I choose ?? Hi John! Hmm, well we’d say try them both out of you can, and choose the one that you prefer. Hi ! a year ago I purchased an awesome Tubemeister 5 at Guitarcenter LA … I even when back to my apartment to get my 68 and “try it out”. Long story short … now I´m in México and I am desperately looking for the cab, can you guys help me out ? My first amp was a blackstar Id 60 tvp . I don’t think they’re was much difference with the valve selection that you could select. I recently sold it for half the price I paid for it . I would love a real valve amp for home use but there isn’t much selection that sounds great without the neighbors phoning the police ! That’s an interesting one Rob! We’ve not tried the TVP amps yet, so can’t comment on them… However, if it’s low-volume valve tube power you’re after, take a look at our TubeMeister and GrandMeister amps. They are all-valve, and feature something we can the Power Soak. This basically converts pwoer into heat (and on the bigger 36 and 40-watt models also shuts down one pair of power tubes) to give you that full tube sound at 5, 1 or even 0 watts for silent recording via your computer. One tube-powered watt can certainly be loud, but it’s definitely going to be manageable even with sensitive neighbors! Thanks and I’ll follow up with sales in Germany. Have a Great Day!! No worries 🙂 Good luck and the same to you! I am a beginner, and recently bought my first amp; a used Edition Blonde. I asked the salesman to demo it for me and he played several types of music and tested all the functions. It’s a good looking amp and does not show its age of @19 yrs. I downloaded the manual and I’m looking for an original print copy. 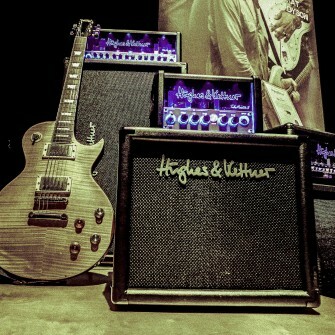 Hi Peter, and welcome to the world of the guitar, and of Hughes & Kettner! What a great first amp, even if we do say so ourselves 🙂 About a print manual, it’s probably going to be difficult, as the amp’s been out of production for so long. However, what you can do is ask our service guys in Germany if they have something they could send. They’re on service@musicandsales.com – shoot them an email and see if they can help you out. Now, happy playing! My first amp BAck in 1963 was a horrible little Elpico thing delivering 10 watts. Went from there to a 30 watt Linear ‘Concord’ with a home-made 2x12cab with Goodmans speakers. Moved from that to a pair of Selmer Treble’n’Bass amps with 4 2×12 Selmer cabs. After that a string of different amps and loved my 100W Laney linebacker which I still have. More or less retired from playing now I so have a Vox VT20+ which is light and compact. Sounds like an interesting amp journey you’ve been on over the last 50 years, Irvine. What’s been the very best you’ve played in that time? We’d love to know! I think you make great points. My advice for beginners goes for guitars and amps. Buy a higher end used product (Fender, Gibson, H&K, Marshall, PRS,etc.). To many people buy cheap stuff and never enjoy it (cheap usually sounds cheap and is harder to play). If you buy used, higher end gear you can usually get rid of it for little or no loss if you decide it’s not for you. You will enjoy it more and it will usually last much longer if you decide to keep it. An amp with a tolex tear and a guitar with a few nicks and scratches still work just fine (much better than that $99 Daisy). If you catch the bug, then you can invest in new gear. Thanks Bill, and that’s a great tip too. If you’re serious about learning, getting a used piece of decent gear is always going to win over buying something worse from new. The used market’s a great place for buyers at the moment too, with some real second hand bargains to be had if you shop around, and older gear often has a certain ‘character’ to it that makes it just feel better to play. So we’re with you 100% there! My first amp was a Randall solid state. Tried rack mount stuff etc. In 1997 i bought my first H&K tri amp, it had some bias issues but h&k is the most professional company in the business. H&K replaced the chassis for me 6 times for free . When the Mark 2 came out in 2000? H&K gave me a new one for free. I also had tri am cabinets, I still play the tri amp to this day it’s the best. I also own a warp head and now play through the warp cabinets . The only effect processing I use is an Alesis Quadra Verb, my guitar sound is unmistakable. Thank you for years of great service and the best guitar amps available. Later, our band used a microsystem (similar to http://www.statuseletronicos.com/arquivos_loja/20733/Fotos/thumbs3/produto_Foto1_5378888.jpg), where we plugged a bass, two guitars and a handheld, touch electronic drum (http://br.vazlon.com/static/pics/2013/10/27/Procuro-Bateria-eletronica-de-dedo-20131027120421.jpg) just by twisting wires. We even added a microphone.